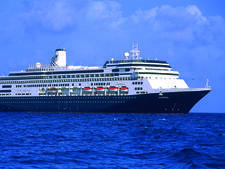 When it launched in 1999, Volendam had the highest passenger capacity in Holland America's fleet, carrying some 1,432 passengers at double occupancy. And, in a move that seems quaint now, it proved its modernity by being the first ship in the fleet to boast a dedicated internet center. Volendam has come a long way since then -- attested by the dozens of plaques along a Deck 4 corridor, picked up from ports around the world. Through the years, dry docks added many improvements, and a late 2017 dry dock will bring more upgrades, including completing the refurbishment of every cabin bathroom. 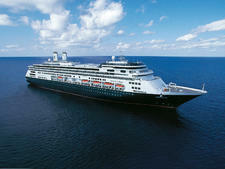 Jazzy refurbs aside, Volendam is a classic, old-school cruise ship, which still maintains the tradition of dress-up nights. 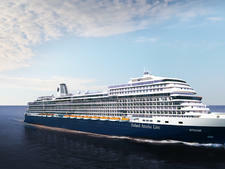 You won't find climbing walls, ziplines or other bells and whistles offered by the new mega-ships. 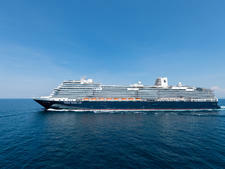 Instead there are cooking demonstrations via America's Test Kitchen, trivia contests, tech classes and some of the best location experts at sea. 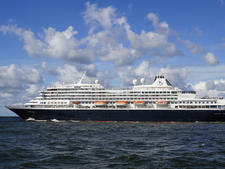 You might say that Volendam is the perfect "Goldilocks ship" -- big enough to offer plenty of activities and enrichment, but not so big that you get lost in the crowd. 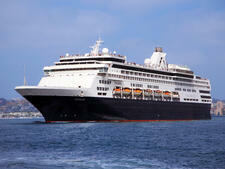 The ship's service is phenomenal, a hallmark of Holland America. Wait staff and cabin stewards are primarily Indonesian and Filipino; most officers are European, with many coming from Holland. Restaurant staff provide polished service, yet also have a sense of humor. 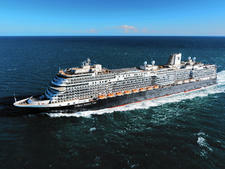 You'll be greeted by every crew member you pass, whether a cabin steward or a painter. 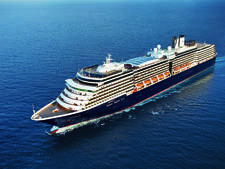 It would be difficult to find a more loyal group of individuals than those hearty Mariners, past passengers of Holland America Line. 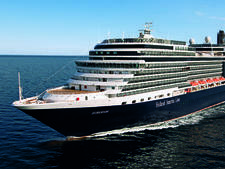 Volendam enjoys a particularly high ratio of repeat cruisers, many of whom have been onboard so often they feel at home with the staff and crew. 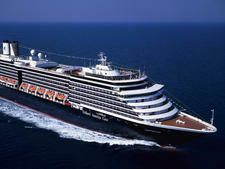 Many stay for long periods, as well, often combining two or more itineraries, for cruises as long as five months. Most passengers are "of an age," typically older than 55, and while most are couples, there is also a fair number of friends sharing quarters and a few singles, too. 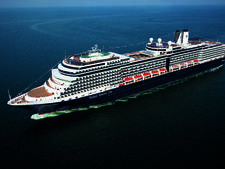 Holland America's prime customers are from North America. 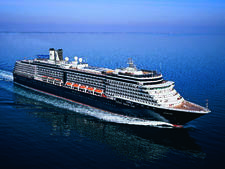 On the ship's Asian itineraries, you can also expect a large number of Australians onboard, as well as a smaller group of Asian passengers. On any itinerary, there's likely to be a smattering of Europeans -- particularly Dutch, due to the line's link with Holland. All ship announcements, however, are made in English. Daytime dress on Volendam is resort casual, and goes even more casual in Alaska, where standard port-day clothes include jeans, hiking boots and sweatshirts. However, beachwear, distressed jeans and men's tank tops are never permitted in the fine-dining restaurants. Evening dress ranges from smart-casual to very dressy. Informal nights tend toward country-club casual, with women in slacks or skirts and nice tops and men in collared or button-down shirts and khakis. You can wear neat jeans in the fine-dining restaurants on informal nights, but shorts are never allowed at dinner. 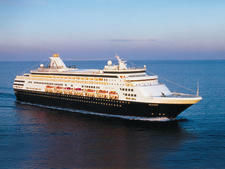 This is a traditional ship, so there are typically two "gala nights" on seven-night cruises and three on 10-night cruises. On gala nights, men are required (at minimum) to wear collared shirts and slacks in the fine-dining venues; jackets and ties are recommended. We even spotted some men in tuxedos (you can rent them onboard, so step it up, guys!). Dresses, skirts and slacks are all appropriate gala attire for women, who tend to go more glam than the men. Cocktail dresses are common, and there will be a few who go all-out in long gowns. This is definitely the time to show off your sequins and statement jewelry! 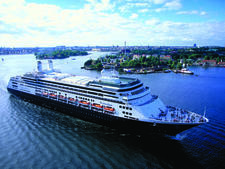 Tips of $14.50 per passenger, per day are automatically added to your tab in regular cabins; for suites, the tariff is $16 per passenger, per day. 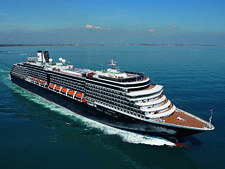 If you are disappointed in the service, you can ask at the reception desk to adjust the amount at the end of your voyage -- but do keep in mind that the service charge goes directly to crew members and is an important part of their compensation. A 15 percent tip is automatically added to beverage purchases and to spa treatments. The U.S. dollar is the only currency accepted onboard. The ship provides currency exchange services on some itineraries, which can be particularly helpful on Asian cruises (in Japan, for example, ATMs that accept U.S. cards are rare). However you can't change foreign currency back into dollars. The ship also offers cash advances (in case you go a little overboard at the blackjack table), but adds a 3 percent service fee.